Eventually we all face wrinkles! It’s a fact: nobody can avoid wrinkles indefinitely. Our skin thins with age. As we move into our forties, wrinkles appear on the forehead, at the corners of the eyes and mouth, the neck… and slowly but surely, if we do nothing to prevent them, these wrinkles deepen and harden our features. There are many safe and efficient ways to soften wrinkles and fine lines. You think wrinkles are inevitable? Think again! Today, there are a number of non-invasive treatments that can give your skin a soft and relaxed look. Let a specialized esthetic dermatologist help you find the best treatment or combination of treatments according to the area to be treated or the depth of your wrinkles. Botox reduces expression wrinkles by releasing muscular tension, giving your face a more youthful and relaxed look. Botox injection has been used for twenty years as treatment for wrinkles and is perfectly safe when administered by an expert. Dr. Charbonneau, cosmetic dermatologist, is one of Canada’s Botox injection pioneers. Don’t worry about losing your natural facial expression because a well-administered Botox treatment is very discreet. You can even go back to your daily activities right away, without anyone noticing. Often mistaken with Botox, Hyaluronic Acid (HA) is a filler agent used by many actresses to plump up and redefine their lips. But you don’t have to be a movie star to enjoy its benefits! Hyaluronic Acid is also used to erase fine or deep wrinkles and rejuvenate the face by giving it a more serene and relaxed appearance. For optimal results in bringing out your natural beauty, it is imperative that an expert be the one to administer injections. Hyaluronic Acid injection results are visible instantly. Often wrinkles have disappeared by the end of the treatment. Optimal results occur after ten days by which time the body will have fully assimilated the acid. 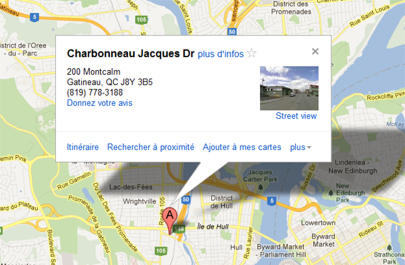 Dr. Charbonneau is THE Botox and Hyaluronic Acid specialist in Gatineau-Ottawa! Fraxel laser technology is a very efficient non-surgical procedure that firms the skin and erases signs of aging. It improves the quality of your skin, making it softer and firmer, softening fine and medium-sized fine lines and wrinkles on the neck, chest, and hands. Dr. Charbonneau was one of the first dermatologists to use Fraxel technology in 2006 and since then has performed or supervised thousands of treatments. If you want the relaxed look of your youth back, this safe and revolutionary solution can be part of your treatment plan! A true gem in cosmetic medicine! As long as an expert administers it, IPL (Intense Pulse Light) is a safe and non-invasive treatment that improves the color and texture of the skin on your face, hands or cleavage. The results are obtained by stimulating a slight production of new collagen. Photorejuvenation – IPL style – gives you a true “youth boost”! Thermage is a non-invasive procedure that tightens and smoothes the skin, giving your features their natural definition back. It tightens existing collagen and stimulates the production of new collagen. Not only does themage yield immediate results, it continues to work for up to six months by stimulating the production of new collagen. So you look younger with every passing day and your secret is never revealed! The CO2 laser is able to pinpoint and destroy very precise skin structures by emitting a powerful beam. Its impressive abrasive qualities make it ideal to treat deep wrinkles and skin that has lost its elasticity. CO2 laser wrinkle treatment, or “resurfacing”, is perfectly adapted for treatment of eyelids and the area around the mouth. When performed by a specialist, this procedure tones and rejuvenates your skin but requires an excellent therapeutic follow-up.